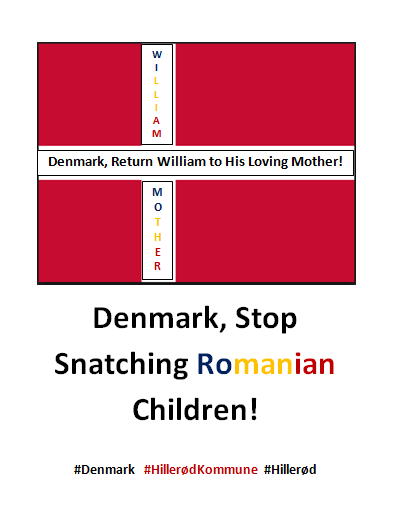 Every year, a lot of children are removed from their families in Denmark because they are not "good enough" for their children. Many babies are separated from their mothers right after birth, because the state considers that other families would be a better match than the biological parents. The most terrific thing that could happen to a mother is that her baby is taken away from her. This also happed to Hermina, a single mother based in Denmark, whose baby was forcefully taken from her, without prior notice. Not knowing the language well, she didn't forsee that the involvement of the Child Protection Services in her life, would be a disaster for her life and the life of her newborn. After only ten weeks, her boy, that she still was nursing was forcefully taken away from her, by Hillerød kommune in Denmark, because they put her the #not good enough" stamp on her. After that, to make a case out of it, they invented diagnoses and absurd reasons just to keep the child away from her. We don't speak of substance abuse, we don't speak of domestic violence. But Herminas past, her cultural background differing from the danish culture, her personality, misunderstandings in language in culture, was enough for the Child Protection Services to give her the "not good enough" stamp. Her lively personality, characteristic for her cultural background was put into a diagnosis. Afterwards, Hermina was put into different tests so that the Child Protection could have a reason to keep the child away from her. William is now three years old. Hermina meets him every second week, for two hours. The child doesn't speak his mother tongue and language misunderstandings are seen as Herminas fault. It is obvious that the child has different issues that, again, seem to be Herminas fault. The boy lacks motherly love and care, but no one seems to see that that could also be the reason to the boys behavior. All that is ignored by Hillerød kommune who is biased towards Hermina and what she could do for William. Herminas case is a clear act of power abuse towards a mother that didn't have the means to defend herself. 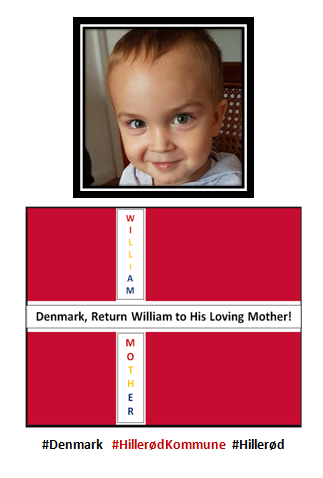 We want to fight for William to come home to his mother, as we are convinced that this is the place he really belong. Please sign this petition if you are against the abuse of the state, when it comes to forcefully removing children from their mothers, and if you want to support Herminas cause. Let us raise the voice for the ones who need us. Let's stand together. Please sign! Thank you! By signing, I authorize Hermina Gheorghe & friends to hand over my signature to those who have power on this issue.